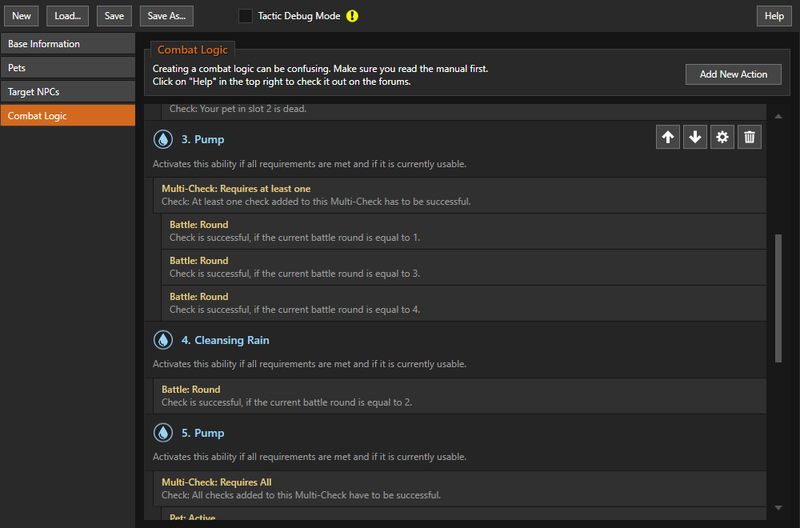 This is the best solution for all your pet battle-related needs on Draenor. This profile pack just has it all. It travels on its own from spot to spot, uses the Safari Hat or Pet Treats for faster leveling, levels all your pets as far as the leveling profiles take them, captures all listed, wild pets up to rare quality, unlocks and completes all daily quests and you only have to press the start button. * Deebs, Tyri and Puzzle come to the garrison in a 15-day cycle. You can battle them repeatedly and contrary to other menagarie fights, they yield a significant amount of experience. The endless XP profile fights him with one of various 2-pet tactics, heals your pet at the stable master 3 yards away and repeats the process. 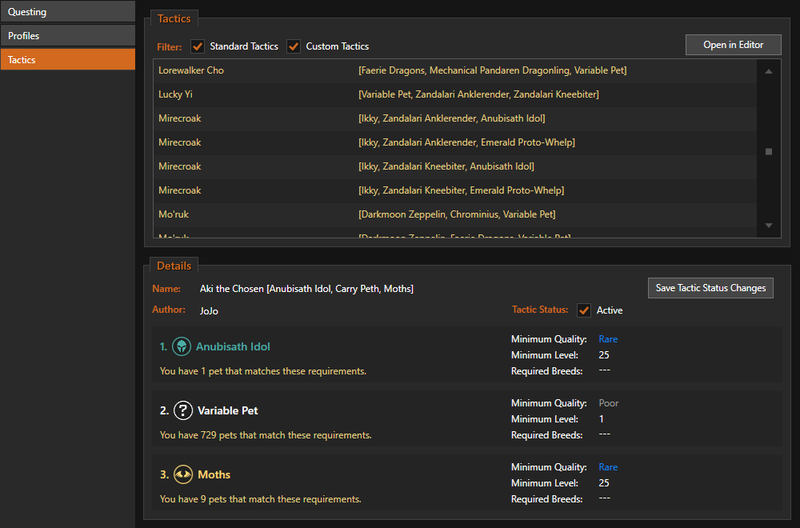 It also uses Pet Treats on its own if you have the option for them activated. Keep up the good work! 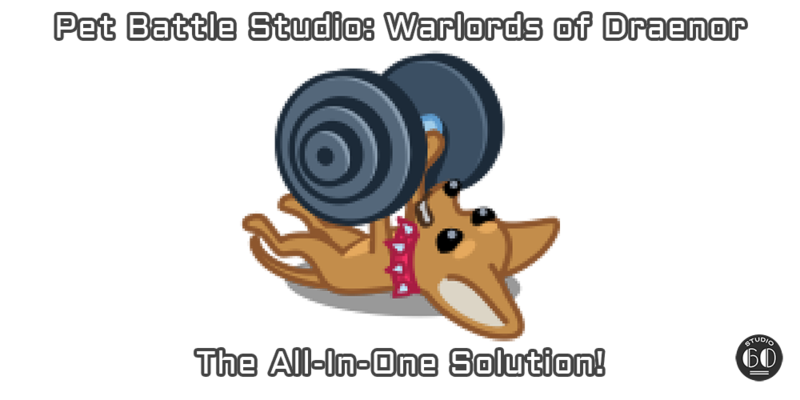 All your profiles both Pet studio and Raid and awesome. The plugin makes it so easy. Best products out there!!! yet again another amazing product from Studio60. 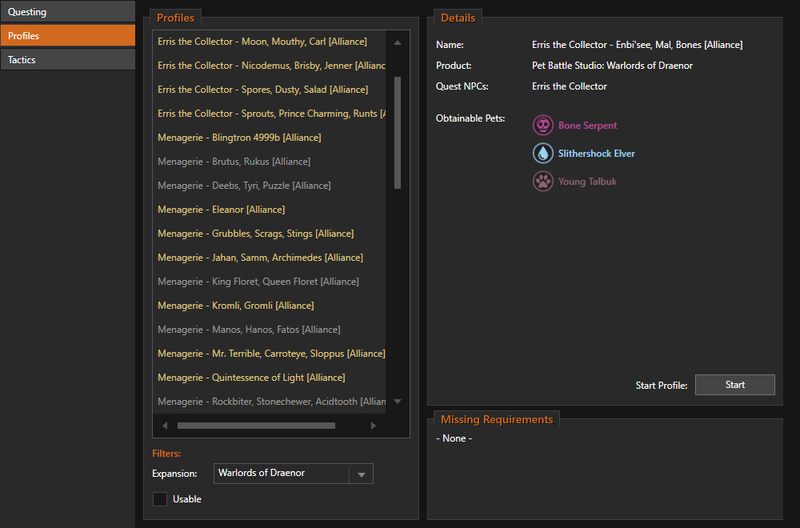 Has helped me get a ton of achievements and level a ton of pets. Plus he still supports it and keeps it updated even after the Legion pre-patch. Studio60 do it again flawless profile works outstanding, And since pet charms will be the currency in Legion aswell i would recommend everyone to get this..